How should we unravel this mess? How can we ever untangle the mess we make without all of the information? 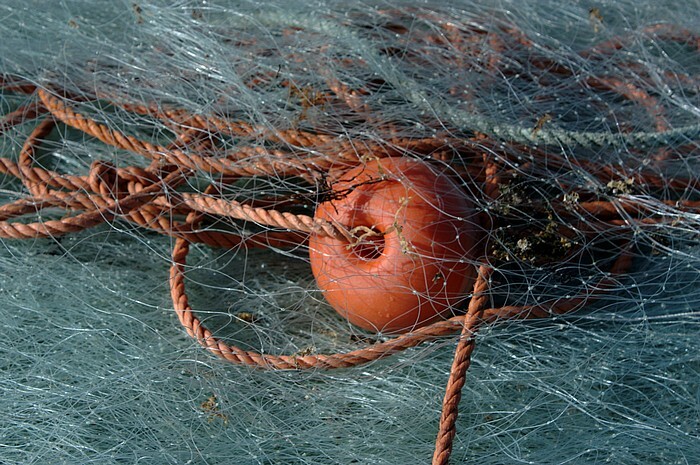 The literal translation in English is: The fishing net that is entangled at night will be unraveled in the morning. Oftentimes we have disputes with people or take offense where no offense was intended. There are times when we hear second hand information, we make assumptions or we take the word of others without considering the source or confirming that the information we received is fact. When we act on data that was compiled in ‘the dark’ or without complete validation the chances of the conflict escalating are greater. Accusations may fly, physical altercations may ensue but feelings are always hurt. When you have disputes, it’s hard to come to any agreement until you have all of the information. On the other hand, this proverb counsels us to wait until ‘the morning’ or (in a figurative sense) when there is light, when there is clarity of the mind and the body is reinvigorated after rest, meaning that we have taken the precaution to bring all information to light. When such is the case, the chances of us coming to a resolution without crushing another spirit are minimized. When I’ve encountered these situations in life, sometimes I’ve been the aggressor and other times I’ve been the offended. In either case, neither side wins when I’ve acted on some of the information and not all of the information. A wise family member once told me, “Never let the sun go down without resolving your disputes.” Although that counsel is counter to the argument in the Samoan proverb it still applies in this case because we are searching for a resolution before the sun goes down. There is still light and there is still a possibility for a resolution. I’ve had to deal with people who have made judgment calls about my character. Sadly, I hardly know these individuals but they have made comments about me to others based upon half-truths. They may have overheard me in a conversation with friends or family and took the words that I said out of context. They may have read something that I’ve written in the past and felt that I was judging them. For those who know me, I do my best not to deal in absolutes. I will not judge you for who you are, what you do or believe. Neither will I make a decision based on your political or religious dogma. I will not judge you and I ask that you give me the same respect. If we have a disagreement, I will not be repulsed by you, have a chip on my shoulder or have a desire to stab you in the proverbial back. All I ask is that we sit down, lay out the information and come to a resolution on how we should proceed, then have a friendly cup of koko Samoa. Regardless of the outcome, I will treat you with dignity and respect because that’s all we really want, right? Sir Walter Scott’s famous words echo my sentiments, “Oh what a tangled web we weave, when first we practice to deceive.” We may not intend to tarnish someone’s reputation, but if we don’t know all the information and we make a judgment call based on the limited intelligence we have, than we are deceiving others about an individual’s character and that is a greater misdeed than having a disagreement based upon the facts. I think this is my stop – I’m getting off my high horse. Very good advice. “Sleep on it” still works. For real although sometimes I sleep on it waaaay too long. Thx uso!